GelAteneo Italian Gelato School - Now in Australia ! Gelateneo is a training facility inspired in the CATTABRIGA traditional values of excellence, now at disposal of all the ICETEAM 1927 brands. We are proud to have Gelateneo in Australia and will be making our school available to our customers and their staff thoughout 2014. Gelateneo is not a traditional “school” as it focuses on the practical application of gelato making without the frantic pace of a real shop. We run Gelateneo courses in beautiful places which are synonymous with quality ingredients, beautiful surroundings and of course, fun. Everyone of our courses receive raving reviews and is enjoyed by all the participants. Our courses are held by well-known professionals or food technology experts, mainly in English and Italian languages. Our last school was run by our friends from Italy giving it an unique and traditional atmosphere. All of our participants learned how to craft traditional gelato, ice-cream & yoghurt using modern machines which replicate traditional methods, dating back to 1900's Italy. Gelateneo gives you four days of topics and hands-on experience in the world of the Italian way to produce handmade, high quality Gelato, with the world's leading instructors in the industry. Gelateneo is run for aspiring gelato makers who wish to start a gelato business, work in a business or for those who would like to make the best gelato from traditional and new ingredients. We will introduce you and your staff to the world of gelato production and teach attendees how to make gelato with a professional attitude in order to produce high quality products. After completing his studies in food chemistry in 1972, he started, with passion, to work on Gelato. He began collaborating with semi-finished products’ industries. In 1980 he decided to go off to the United States to open an ice-cream shop chain in vest of consultant. In these times the new ice-cream shops in San Diego, California were born: they will be called “Gelatamore”. He specialized on industrial plants and artisanal ice-cream. He attended the course of Food Science at San Diego University, achieving a Masters Degree in Dairy Food Technology in 1985. 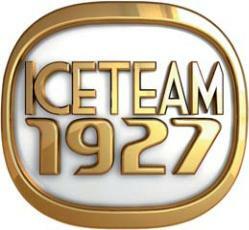 Back to Italy he started to collaborate with Carpigiani Group for the development of new ice-cream machines. He still works at Carpigiani Group. He created an innovative software called Smart5, which is a reference for each Gelatiere that wants, really, balancing and know his own Gelato. 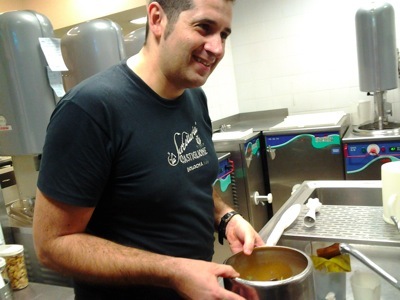 Giacomo Schiavon started to learn his actual activity working for many years at Gelateria PINO in Via Castiglione; Giacomo has been distinguished for his passion and his capacities. In 1994, when he was only 25 years old, he opened the “Sorbetteria Castiglione”. Today “La Sorbetteria” has become an empire of gourmet and a temple of pleasure. Every year are consumed 2000 kilograms of pistachio paste, strictly selected, toasted and refined by him. He gained prizes for the best chocolate in the world in 1996, prized for his “gianduia” at the ice-cream exhibition in Viareggio and winner in “the best on his sector in the world” with the Passion Award 2009. Crew Australia has you covered wherever you are.